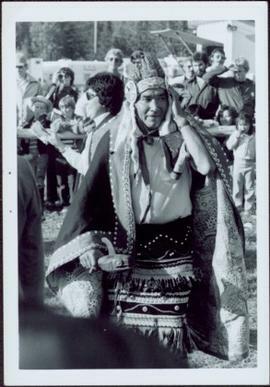 Photograph taken at potlatch held in honour of the late Mary George, Louise Ellen George, Dale Francis George, Paul Dwayne George and Gregory James LaFitte.Handwritten annotation on verso reads: “Gloria George + Brother Leonard George at Telkwa”. 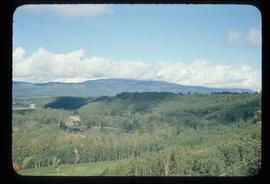 Image depicts a view of the scenery between Smithers and Telkwa, B.C. 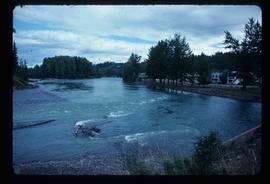 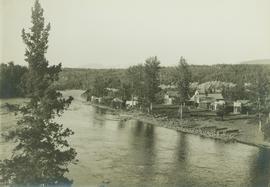 Image depicts the Telkwa river in Telkwa, B.C. 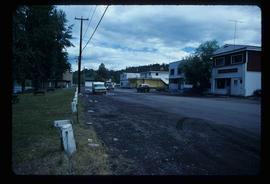 Image depicts a street in Telkwa, B.C. 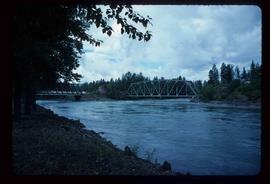 Image depicts two bridges in Telkwa, B.C. 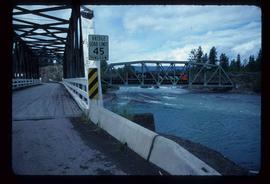 One is for trains. 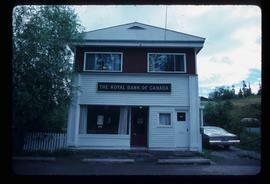 Image depicts the Royal Bank of Canada in Telkwa, B.C. 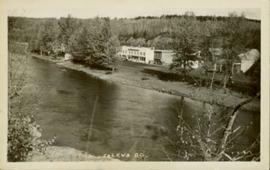 Image depicts a view of a lake that is near Telkwa, B.C. 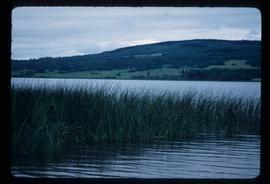 The slide is labelled as "Telkwa - McClure Lake," though it is possibly Tyhee Lake.